When you don’t have a home, where do you go to take a shower or do your laundry? 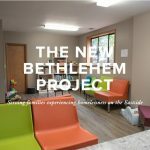 KBCS’s Jim Cantu spoke with New Bethlehem Day Center Program Manager Natalia Pierson about the services provided to homeless families on the Eastside. This Kirkland facility serves 20 to 50 people a day.